If you keep important records in your home or office, a fireproof file cabinet is a piece of equipment that you should consider acquiring. It's important to keep records of various types of personal and business financial information and transaction documentation protected from fires and other hazards. Whether you are responsible for managing a business or if you simply need to protect your own important documents, fireproof file storage equipment can be a wise investment. 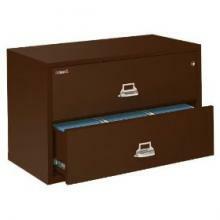 While this type of file cabinet is significantly more expensive than budget models, fireproof pieces provide important security features that can keep your most important paperwork safe even in the most extreme of conditions. Top quality fireproof file storage pieces provide protection against several types of perils, including fire, explosions, attempted break-ins, and other potential sources of damage. While no one expects to experience such a problem, it's a fact that natural disasters, acts of terrorism, and attempts to steal protected information are situations that can occur in any organization, with or without warning. Investing in fireproof records storage is one of the best ways to ensure the security of the important paperwork you are responsible for safeguarding. Depending on the types of documents that you are responsible for maintaining, fireproof file storage might be something that you are required to have. For example, if your company is responsible for files that include patient medical records or student academic files, you will need to be able to demonstrate to the agencies that accredit your organization that the documentation you are required to keep is protected from natural disasters and other types of perils. 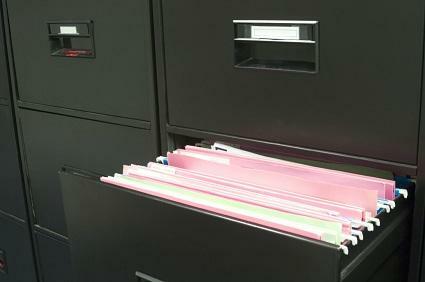 One way to do that is to store your paper records in fireproof office equipment. When choosing a fireproof file cabinet, it's important to know how well the units you are considering can be expected to hold up during a fire or in response to an impact or other problem. To find out this information, you need to look at the manner each unit you are considering is rated by Underwriters Laboratory (UL). These types of cabinets are rated in terms of how long they can expect to hold up and provide protection during extreme conditions. The minimum standard UL classification is a one hour impact fire rating, which means that cabinets with this level of rating can be expected to provide protection for stored documents during a fire that lasts for one hour or less, or in other similar high intensity conditions. Higher end document storage equipment is rated for longer periods of time. In addition to making sure that you are aware of the fire and impact rating of any fireproof cabinet you are considering purchasing, it's also important to select a model that has a secure lock. You can choose a unit that is secured with a key or one that has a combination lock feature. Just as the file cabinets themselves have UL ratings, the best locks also have ratings. The best choice for protecting important documents and sensitive information is a "high security" lock. Fireproof file cabinets are available in several sizes and shapes, including vertical and lateral styles with varying numbers of drawers in both legal and letter sizes. They are also available in many different colors, making it easy to select high quality and secure document storage equipment that meets your needs and that will coordinate with the other office furniture in your workspace.